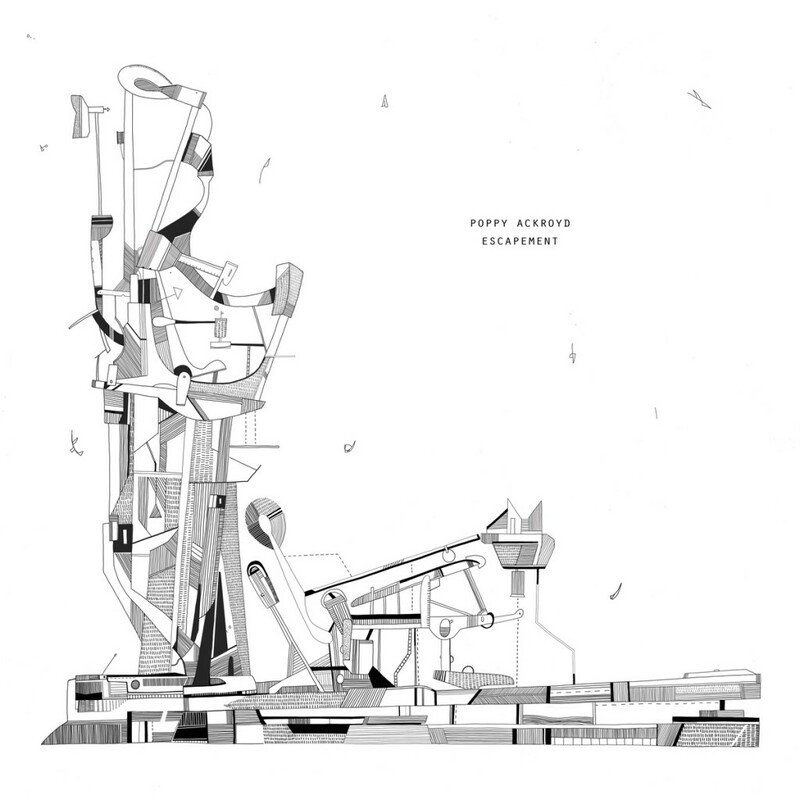 Poppy Ackroyd’s “Escapement” was one of the surprise highlights of 2012. A short, humble album it wormed its way into the heads of many listeners (including myself) and has stayed there ever since, trundling along in lively, soft grooves. 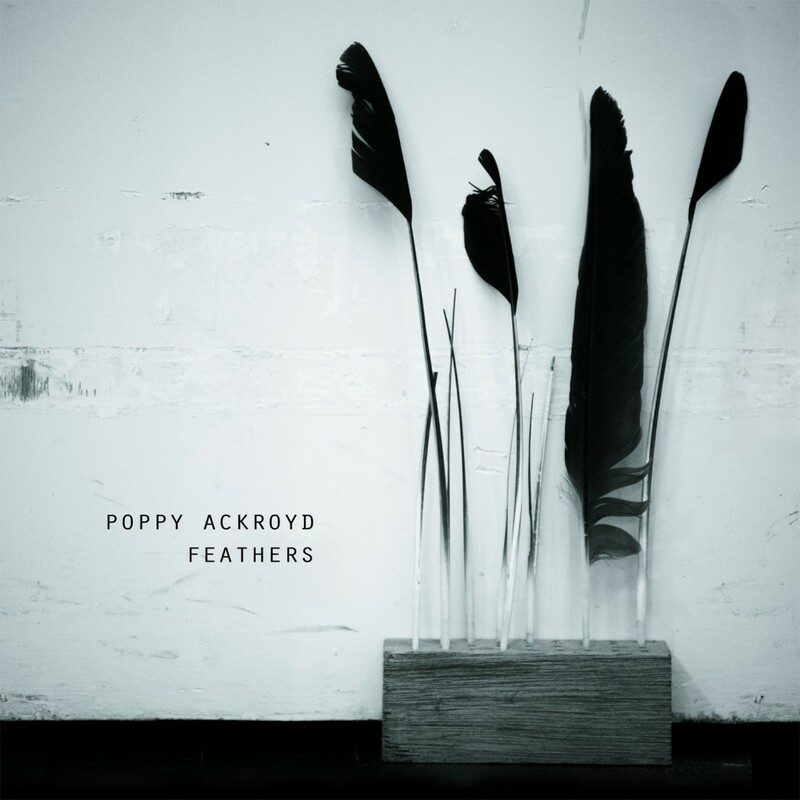 At her equally delightful live shows since then, Ackroyd has been accompanied by Lumen’s flickering black and white films, which have been further developed for this DVD re-release. “Escapement” isn’t exactly the most obvious choice for visual accompaniment. Despite the album’s strong concept (all of the sounds were made with piano or violin, hit, scraped and played in all sorts of different ways), it is not at all self-consciously conceptual or abstract, which might lend itself to some similarly conceptual/experimental film. The music is mobile and active, locking into rhythms and melodies easily and often. It’s not the kind of minimal music that lends itself to pairing with equally abstract film so that the two can enhance each other; to take a couple of examples from the Denovali Swingfest 2013 line-up, that Ackroyd also appeared on, Thomas Köner and William Basinski made good use of film to amplify their music which, whilst excellent, is not exactly a visual experience, which could potentially be a problem in a live setting. Ackroyd doesn’t really have that problem. She’s fun to watch, playful in her performance, and in the music itself. And yet, the pairing with film works exceptionally well. The music has a natural narrative quality; relying as it does largely on one musician and studio layering, the pieces (as a rough generalisation) follow an arc of basic premise-complication-climax-resolution. Or more simply, they have a natural quality of motion that the films tap into. “Escapement” is great train/car music, and Lumen makes extensive use of that with numerous long tracking shots out of vehicles. Indeed, ‘Rain’ is entirely comprised of such shots, slowing down and speeding up with the music, precipitation merging with the grain of the film. The final two pieces create this sense of movement in different ways: ‘Grounds’ with a dancer writhing around a small room, and ‘Mechanism’ with x-ray footage of a finger flexing. They’re surprisingly sinister closing reels, given “Escapement”’s ostensible lightness, but they tap into its groove and constant motion. In ‘Mechanism’, for instance, the percussive hits rarely stop skittering, and the piano melody is steady but propulsive. 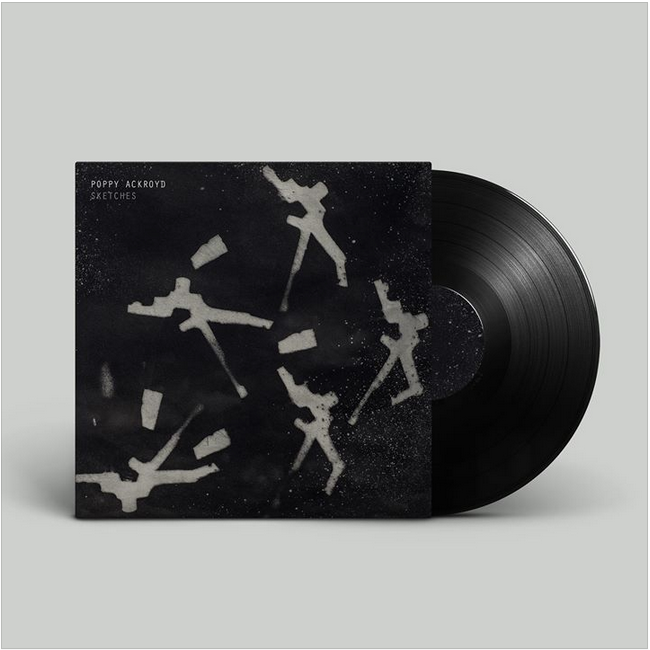 And there are veins of weirdness to the album – its naturalist aesthetic but obvious studio construction, some of its insistently cyclical repetition – that Lumen often chooses to foreground, although musically they’re really not much more than background buzz. Lumen is faithful to the conceptual aesthetic of the album. 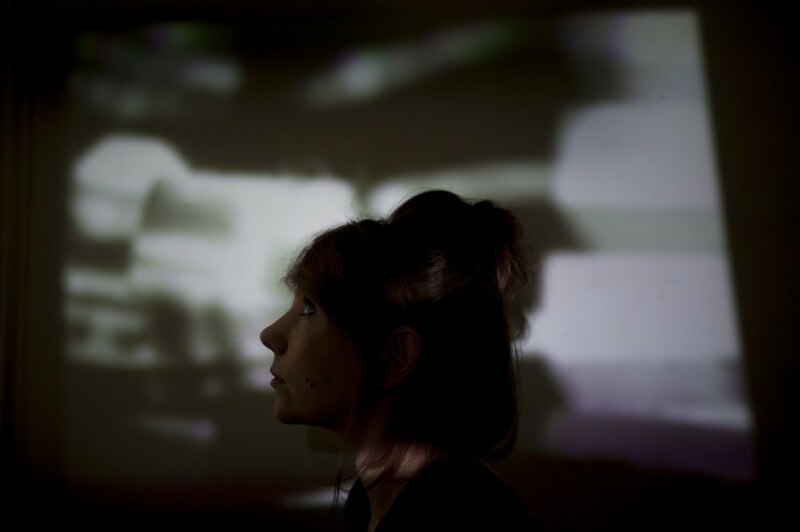 Where the music is made entirely with acoustic instruments (and a couple of field recordings), the visuals are compiled from film – some of it found footage – without digital creations. The subjects of the films contribute to this as well. ‘Aliquot’ opens with foliage blowing in the breeze, layered over more close-up footage of light dappling through leaves. The collage effect perfectly suits the music’s layered composition. The natural, even pastoral imagery is plain, but overlaying adds something more interesting, more individual. This collaging also leads to some of the films’ most arresting moments. It’s fair to say that a lot of the time Lumen’s work plays second fiddle to Ackroyd’s. Given the music’s mobility, and quiet complexity, the visuals are appropriately low-key. The absence of colour means they don’t drag the audience away from the sound too much, and the images for the most part beautiful, but simple, never clamouring to be the centre of attention. The exceptions are ’Rain’, which is such a perfect marriage of music and film that they collaborate equally to tell their story, and a couple of isolated moments in certain pieces. Later in ‘Aliquot’, just before the halfway point, images of forests are imposed onto each other, and as the camera pans an entire forest finds itself inside a single tree. This also reveals some of Lumen’s quiet experimentalism (seen in ‘Grounds’ and ‘Mechanism’ as well), although better for that are some surrounding moments where bare and twisted branches drift stiffly, truncatedly across the screen as if frozen in time, bringing an unexpected note of the macabre to the piece. Similarly, ‘Lyre’ is made up of footage of the inner workings of a piano, close up and from unusual angles that make it look like some forgotten piece of industrial machinery. A curious light plays across the hammers and levers, obscuring their original function further. ‘Lyre’ is one of the album’s more ethereal pieces, and the film transposes the instrument into a strange, unknown realm. 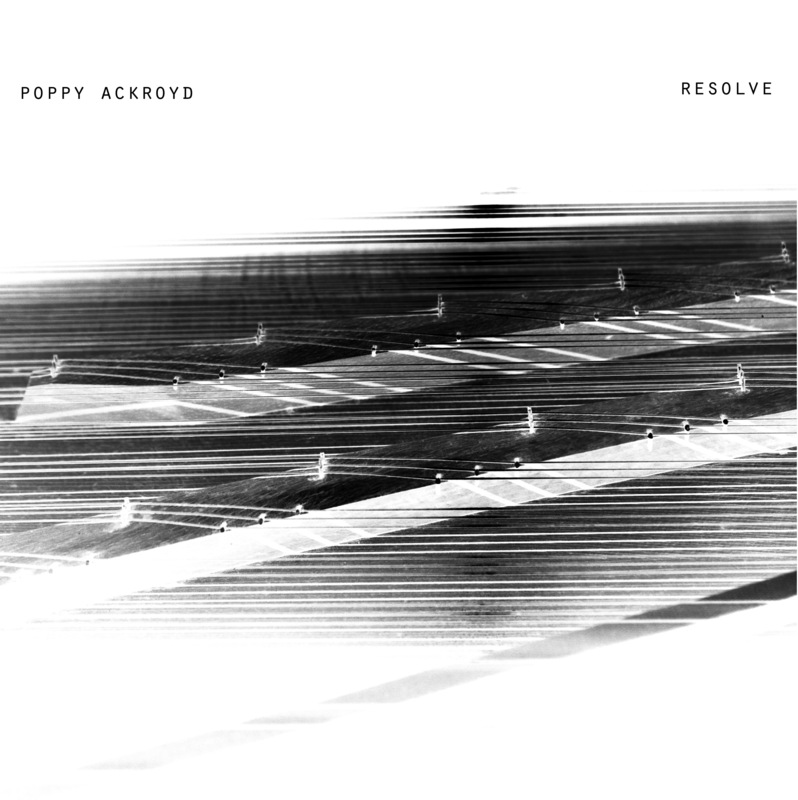 It makes you see the piano in a new way, which, perhaps, in her own subtle way, Ackroyd does as well. The highlight of the films, however, is in ‘Glass Sea’, when a seabird suddenly appears over the distressed footage of increasingly volatile waves, its glide – wings barely moving – effortlessly conveying a serene majesty just as the piano picks up pace to soar towards the piece’s finale. 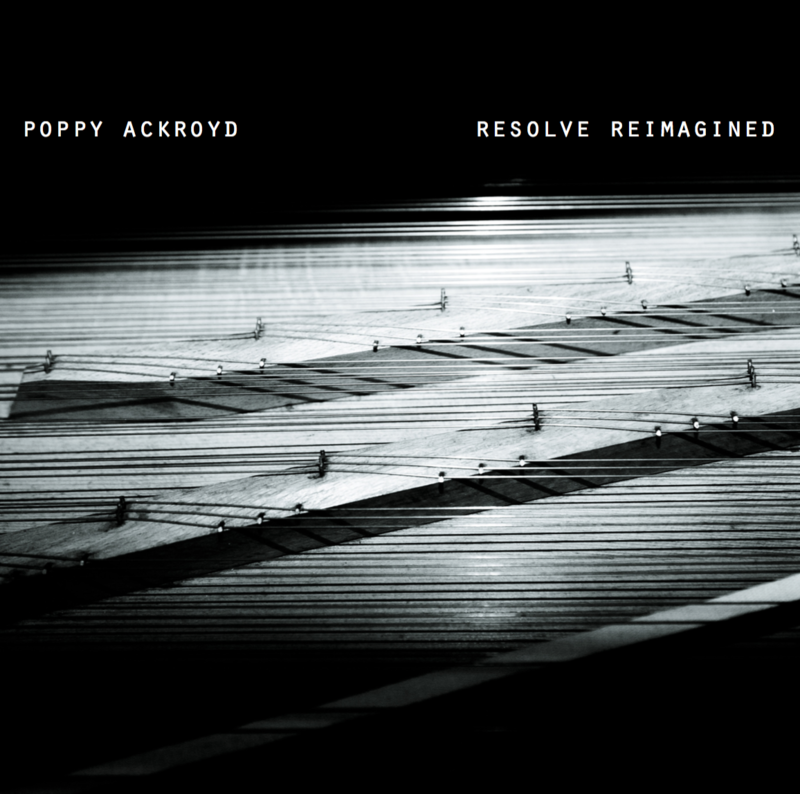 It’s a moment that encapsulates the collaboration, perfectly judged, humbly stunning and likely worming its way into many a mind – whether through the DVD or more of Ackroyd’s live shows – just as the original album did.